Foundation development at the new £22 million hotel in Glasgow, located next to Central Station is well underway and our time-lapse video shows a portrait view of May's building progress. We are pleased to welcome the following new colleagues who have joined the Ogilvie Group today. Ogilvie Construction has broken ground on a £33 million project to build a student residence in Yorkhill, Glasgow, for developers Bricks Developments. 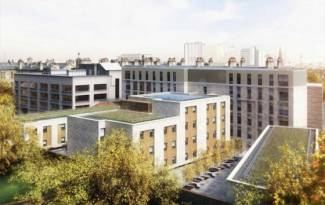 Built on the site of former warehousing at Kelvinhaugh Street, the project will create a 607 bedroom building consisting of three separate blocks of between 5 and 9 storeys constructed above a semi basement parking space. A new state-of-the-art £8million Jaguar Land Rover retailer site in Aberdeen, operated by Peter Vardy Ltd, is nearing completion, with the stylish, modern exterior now fully constructed. The retailer is on course to open later this year, with a renewed focus on customer service, complete with a luxurious atmosphere befitting the Jaguar and Land Rover brands it will house. Ogilvie Construction, which last year completed the Porsche Centre Aberdeen nearby, is building the facility. The building has now officially been ‘topped out’, marking the completion of the highest point of the structure; construction will now focus on making the facility wind and watertight, before installing the stylishly appointed interior. The new retailer in Wellington Road is one of the first custom built Jaguar Land Rover sites to adopt a brand new look and feel that places an even greater emphasis on customer service and luxury. 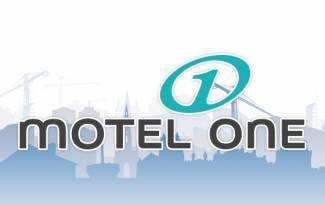 Motel One Group will open their new hotel in 2017 and will include the typical One Lounge, which is the living room, breakfast café and bar all in one. Motel One currently operates 51 hotels across Europe with more than 13,900 rooms and has ambitious plans to expand with a secured pipeline of an additional 19 hotels. Crosslane Student Developments is working in partnership with Unite UK Student Accommodation Fund (USAF) to deliver a 237 bed purpose-built student accommodation development, which is under construction at Lutton Place, Edinburgh. The freehold of the site was acquired from the City of Edinburgh Council by Crosslane Student Developments, part of the Crosslane Group, in December for £6.2 million. Ogilvie Construction Limited is the main contractor having been engaged by Crosslane Student Developments in December 2015 to develop the site into a new, purpose-built, high specification, city centre scheme, comprising 44 studios and 193 cluster flat bedrooms ranging from three to nine beds. In addition, there will be high quality communal facilities including a common room, meeting space, gym and bike storage. 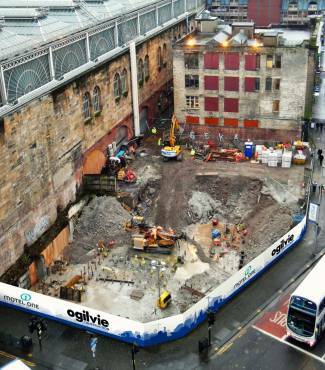 Ogilvie Construction has been chosen to build a new £22 million hotel for Motel One Group in Oswald Street, Glasgow. With 374 rooms, the new hotel will be one of the largest in Scotland and the first in Glasgow for the European budget designer brand. The building will combine high quality product design with an excellent location and attractive pricing. Ogilvie Construction built the prestigious Motel One Edinburgh-Princes on Princes Street in Edinburgh, which opened in 2014. The new hotel in Glasgow will open in 2017 and will include the typical One Lounge, which is the living room, breakfast café and bar all in one. Motel One currently operates 51 hotels across Europe with more than 13,900 rooms and has ambitious plans to expand with a secured pipeline of an additional 19 hotels. 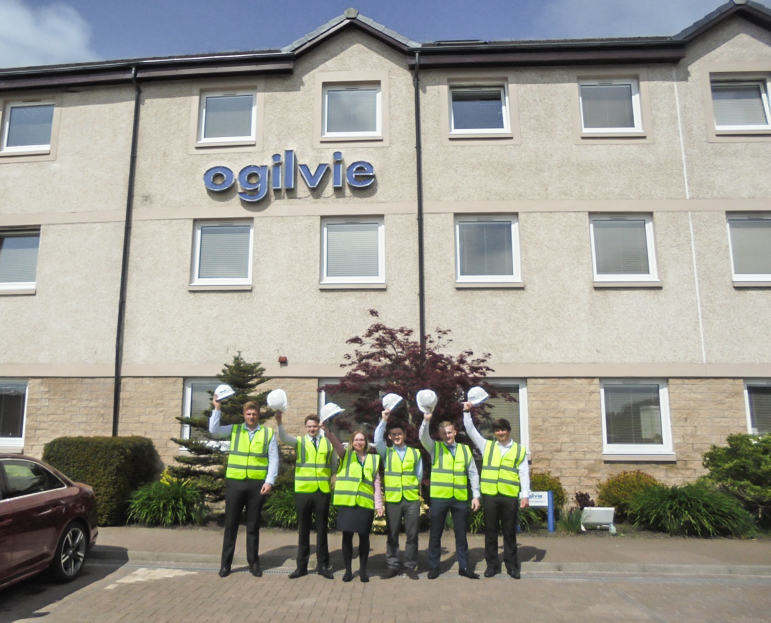 Ogilvie Construction is part of the Ogilvie Group is one of Scotland’s most consistently successful family owned businesses. The company is over 60 years old and employs more than 400 people across its various business operations in the UK. 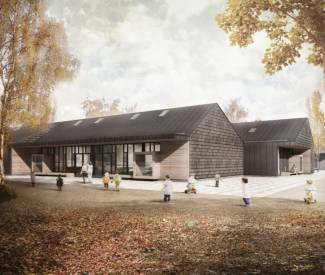 Ogilvie Construction has been awarded the contract for the construction of a new £17 million school in Aberdeen for children with additional support arising from severe and complex needs. The new school, which will be located on Howes Road, will provide education and support for up to 150 full-time children from 3 to 18 years of age with severe and complex educational and medical needs, and will replace Woodlands School and Hazelwood School. A pre-school additional support service, currently provided in Seaton School, will also be relocated to the new campus. The school will be delivered by hub North Scotland Limited after it was appointed as development partner by Aberdeen City Council. Ogilvie Construction has completed the prestigious new £4 million Porsche Centre Aberdeen for Peter Vardy Ltd that creates a quality customer service experience like no other. The new Centre in Wellington Road is 24,000 sq ft and has been custom built with a strong customer focus and relaxed retail feel featuring a dedicated handover bay with special features. West Burn Lane, designed by Sutherland Hussey Harris and built by Ogilvie Construction, has clinched the Royal Incorporation of Architects in Scotland Andrew Doolan award for 2015. The winners received a cheque for £25,000 at the prize giving event at the National Museum of Scotland. Fiona Hyslop, culture secretary, said: "Once again, both the worthy winner and the strength of this year’s shortlist for the RIAS Andrew Doolan Award have shown that the quality of Scotland’s new architecture stands shoulder to shoulder with the best in the world.